What’s better than a stylist sharing her formula for one of your favorite looks? When the stylist shares the formula AND a head sheet that shows you exactly where to place each color. 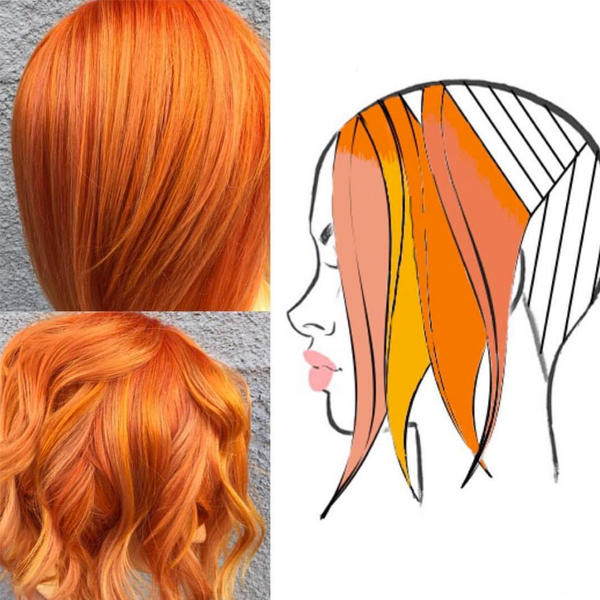 Here’s how #ONESHOT nominee Jennifer Lopiccolo (@jenniferlopiccolo_hair) achieved this gorgeous orange blend.